Doom band from Atlantic City, NJ. Their style is quite varied, largely consisting of Trad with distorted Sludgy influences, and with some psychedelic moments, acoustics and clean vocals thrown in. A little reminiscent of Paul Chain's improvisatory and genre-crossing guitar-led ventures. Interview with Troll Teeth (2014-06-22). Interview with Troll Teeth (2018-03-11). 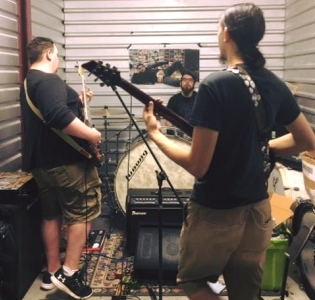 The band was originally called Sluagh, leading to confusion with a later-formed West Virginia Sludge Metal outfit that adopted the same name. Recordings up to and including 'Unwanted and Worthless' were originally released under the Sluagh name.